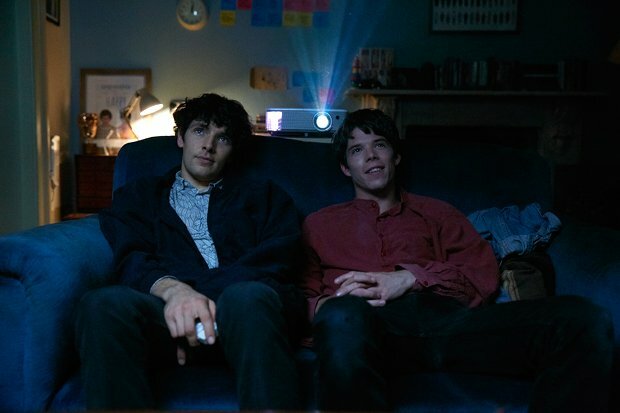 Filmmaking is therapy for the neurotic Benjamin (Colin Morgan) in this semi-autobiographical story from writer-director Simon Amstell – his first cinematic feature, following 2017 iPlayer mockumentary Carnage. Every insecure moment, awkward encounter and romantic longing fuels a tale in which the real and the imagined softly blur. Benjamin is a ball of anxiety over the fate of his tricky second feature No Self. The doubts gnaw away at his fragile confidence as the premiere looms. His sense of self-worth is entirely wrapped up in the state of his career. 'That film is all I've got,' he declares. Then, he meets French musician Noah (Phénix Brossard) and is knocked sideways. Noah is a quiet charmer with the sharpest cheekbones and the sweetest smile. Can Benjamin maintain his focus on life and pursue the happiness that might just be staring him in the face? Amstell brings out the best in his cast. Brossard is a delight as Noah, whilst Morgan is a revelation in the title role. His comic timing is sound and he lends emotional weight to a mixed-up character who remains endearingly human. There may be strong hints of Woody Allen here and echoes of Éric Rohmer, but in this mellow, mild-mannered and affecting tale it is Amstell's own voice that comes through, leaving you eager for his next film. Benjamin (Morgan) is a filmmaker who’s entirely wrapped up in his work, but who then falls for French musician Noah (Brossard). This semi-autobiographical tale from writer-director Amstell is wry and self-deprecating, with Brossard a delight as Noah and Morgan a comic revelation as the awkward but endearing Benjamin.